Bruce Wampold, Ph.D., ABPP, joins Peter Reitzes to discuss the common factors model of therapy and much more. 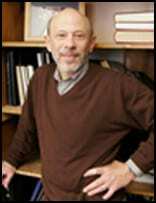 BRUCE WAMPOLD is Professor and Chair of the Department of Counseling Psychology at the University of Wisconsin —Madison and Professor of Psychiatry. Dr. Wampold has authored and co-authored numerous studies, articles, books and chapters including the much discussed book The Great Psychotherapy Debate: Models, Methods and Findings. During this episode Dr. Wampold is asked about his personal experience with psychotherapy, the placebo effect in therapy, the common factors model, the therapeutic alliance, how to choose a therapist and much more. Dr. Wampold was featured in this interesting conversation on NPR titled Can Science Make Psychotherapy More Effective?